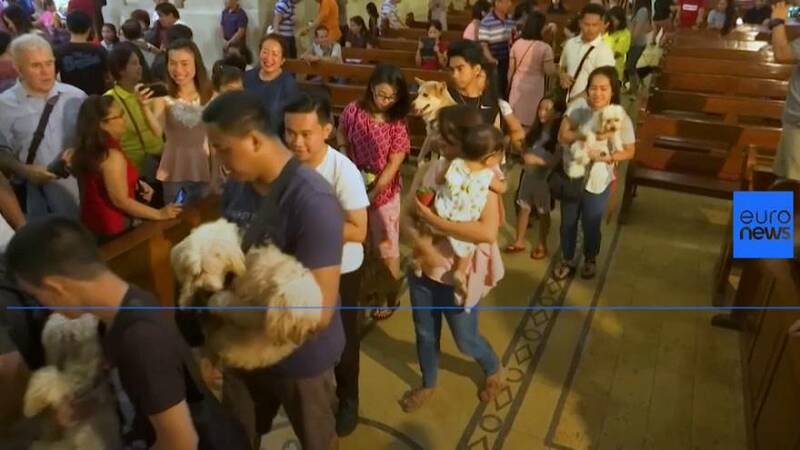 Pet owners in the Philippine capital Manila brought their animals to church for a annual blessing on Sunday (October 7), to tie in with World Animal Day on October 4. The blessing is to mark the Feast of St. Francis of Assisi, who was well-known for his love of animals. A Catholic priest held a mass for the pets and sprinkled holy water at the various breeds of dogs and cats. Many of the pet owners also dressed their four-legged friends in colourful costumes and joined a parade to promote responsible pet ownership. Similar traditions are also celebrated in Spain and many other Latin American countries.